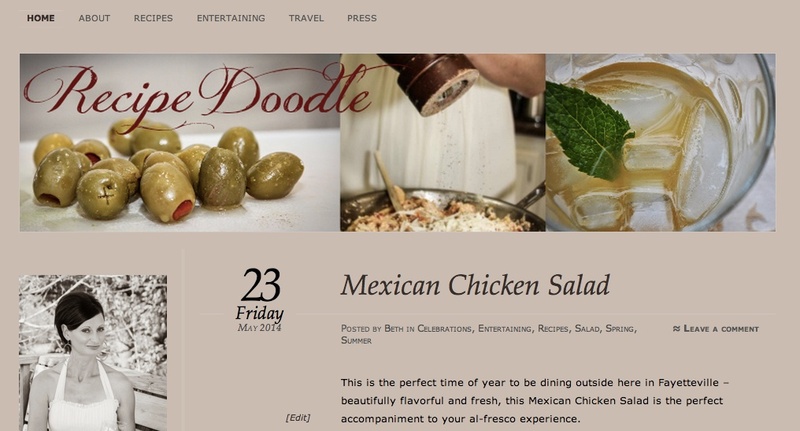 One of the (many) reasons that The Food Adventuress rambles along with so many peaks and valleys is that by day I’m often considering big picture marketing strategy, writing client blog posts or tinkering around under the hood of other websites. I’m always inspired by one of my other favorite food bloggers – Lyndi at nwaFoodie.com – who is so dedicated and consistent with her yummy posts. When the stars align properly, my passions for food, wine and writing overlap once in a while with my real gig and I get to talk about fall food adventures in Arkansas, spend time chatting with some of the best new chefs in the region or gallivant around Moss Mountain Farm, the home of Arkansas gardening and lifestyle guru P. Allen Smith. Needless to say, I did so with gusto – I hope you enjoy the results! Ceri is an absolutely amazing home cook and entertainer – she sets a beautiful table and is one of the warmest, loveliest individuals you’ll ever encounter. Plus, she blogs almost daily – talk about impressive! It was so fun to put on my Magpie Marketing hat to help her blog reflect her passion and personality! I hope you’ll visit the new Recipe Doodle and keep up with Ceri in the kitchen. Welcome back! You know I love your posts and want more, more, more, more, more! Love the new look for both yours and Ceri’s site. Well done!